The Chilean flag features the colors red, white, and blue. It has two horizontal bands, with the top one being white and the bottom one being red and in the corner of the white band, there is a blue square (the same height as the white band) that has a white star in the center of it. 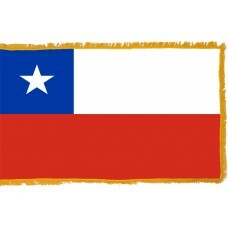 The Chilean flag was adopted on October 18th, 1817. The blue color on the flag symbolizes the sky and the ocean, the red color is symbolic of the sacrifices the people of Chile had to make to gain their independence, and the white represents the snow covered Andes mountains which occupy 80% of the country. The white star on the flag is used to represent the progress of the country and it is also thought that the one star represents the independent state. The Chilean flag was adopted when Chile received independence from Spain. 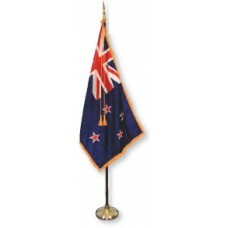 Throughout the years, there have been various versions of the flag. In 1812, Chile raised the "Patria Vieja" flag, which translates as "Old Fatherland." This flag featured 3 horizontal bands in the colors of blue, white, and yellow. This was raised during the Chilean war of independence. 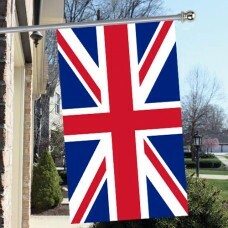 Following their defeat by the Spanish in 1814, the flag was stopped. On May 26th, 1817, the "Bander de la Trasicion," (flag of the transition) was raised following Chile's victory at the Battle of Chacabuco. This flag consisted of 3 horizontal bands in the colors of blue, white, and red. On October 18th, 1817, the flag was changed once more to the current design but using the color of the "Bander de la Trasicion," and one star added as it had become an independent state. The star in Spanish is referred to as "La Estrella Solitaria," (Lone Star). Chile is a country in South America that lies between the Pacific Ocean and the Andes mountains that shares borders with Peru, Bolivia, Argentina, and Drake Passage. The largest and capital city in Chile is Santiago, which is also home to the tallest skyscraper in Latin America, known as "Gran Torre de Santiago." Chile is the longest and narrowest country in the world and is home to many famous landmarks and attractions. The Andes Mountains (the longest mountain range in the world) covers around 80% of the country and they are a popular tourist destination spot. Another very popular destination that is visited by over 150,000 tourists each year is the "Torres del Pain National Park," as there are many lakes, mountains, hills, and glaciers to see. It could take weeks to tour the whole park. Chile is also home to the famous Easter Island which contains 887 monumental statues that are known as "Maoi" and Chile is also the location of the world's largest swimming pool that covers approximately 20 Acres. The Atacama desert is located in Chile and is the driest place on Earth as well as the "Nevado Ojos del Salado," which is the highest active volcano in the world. Pure breezes cross you as well. Is the happy copy of Eden. Promises you a splendid future. Or the refuge against oppression.